HIBBING — Steve and Pat Gillitzer loved hitting the trails on two wheels. 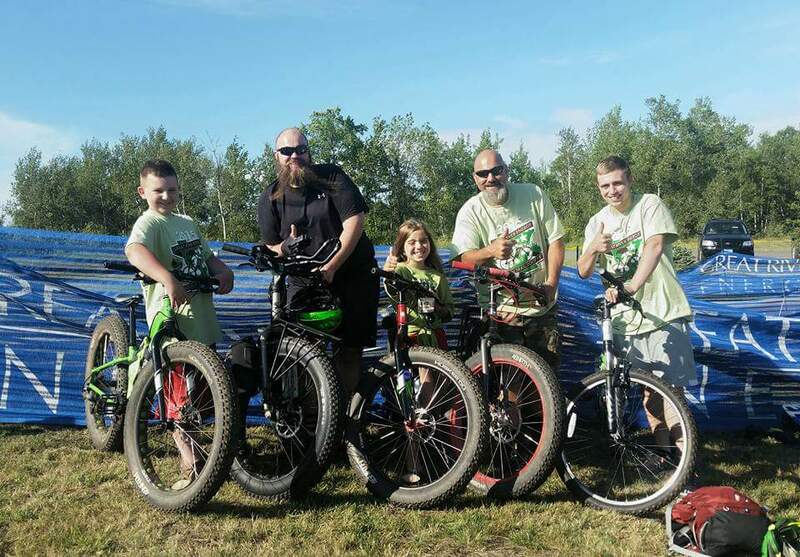 The couple was members of Cycle Mesabi, an active bicycle club that hosts evening rides during the week from Hibbing. The club has been in existence for 29 years now, and they were part of it for a large portion of those years, according to Djerlev. The Gillitzers and two of their grandsons passed away as a result of injuries from a house fire on Dec. 26 at their home at 212 42nd St. E. in a Hibbing. Cycle Mesabi will be holding a Memorial Bike Ride for Steve and Pat this Saturday, June 30. It will start around 9 a.m. at the pavilion at Bennett Park. The plan is to ride about 20 miles — 10 out and 10 back — on the Mesabi Trail toward Kelly Lake and then return to Hibbing. Children and those less inclined can ride in North Hibbing. Talk of a memorial ride surfaced while friends and family mourned and began processing what occurred. Plans continued and the date was chosen early on. A plaque made by family with the Gillitzers’ names and a beautiful saying will soon be added to the bench. The route Saturday will be a similar path the club has taken in the past, noted Djerlev. He’s talking about pedaling on an old mining byway known as Stevenson Road, which takes travelers to the Mahoning Mine. Following the ride, participants will gather in Bennett Park for socializing. A second bench honoring the couple is to be installed in Bennett Park. Djerlev said the plan is to place it under a large tree between the North Pavillion and Third Avenue East toward Guardian Angels Health and Rehabilitation Center. There are also plans to plant a couple of apples trees near the bench. Both the bench and trees are memorials that are offered by the city through its parks programs, noted Djerlev. Hibbing Fire Marshal Bryan Fagerstrom said Thursday that the cause of the fire is still under investigation. This entry was tagged Cycle Mesabi, Hibbing, Memories, Mesabi Trail, Northern Minnesota, Quality People, The Iron Range. Bookmark the permalink.